Our Dragon Fighter arm bracers offer an awesome fantasy design that are sure to be a highlight of any outfit. The dramatic shape of the bracer is similar to large scales scarcely found from fallen dragons. Whether you are fighting with or against the dragons, these bracers may help to get you closer to either your friend or foe. Our Dragon Fighter Arm Bracers are crafted from medium weight 7/8 oz. leather. They have a two tone color option which creates an intimidating look. These are perfect for light re-enactments, larping, theater, ren fairs, and costumes. If you need these in a thicker leather for SCA please call for more info. Our Dragon Fighter Arm Bracers are sold as a pair and have two straps and buckles for closure. 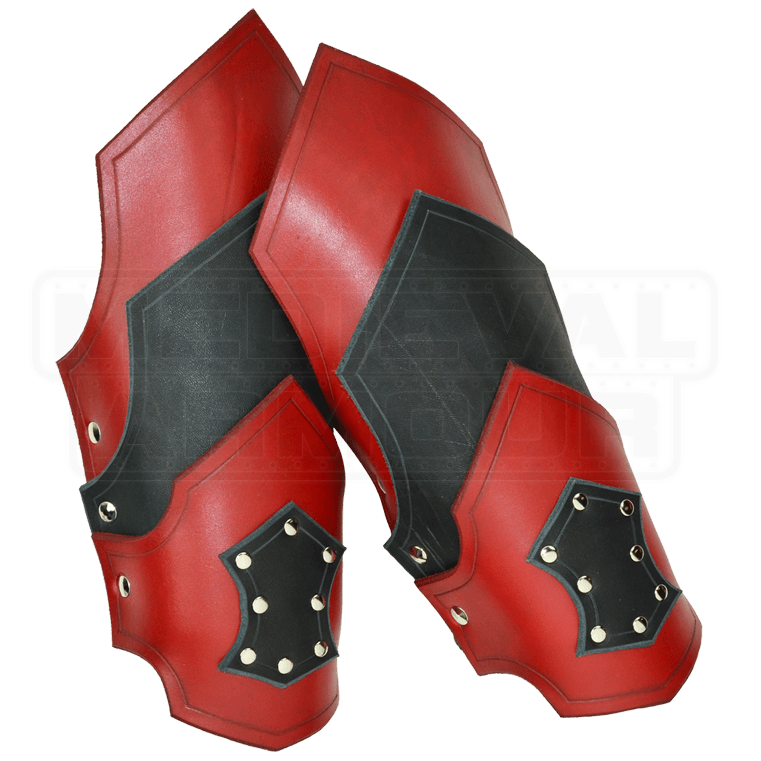 These leather vambraces have a large overall length (see sizing info below) which is on the outer arm, however they taper down in the back so when they are strapped on to your arm they will not be uncomfortable or run into your inner elbow. When choosing your size, you will want to mainly focus on the wrist and forearm circumferences.